Since 2004, Thailand’s southern border provinces have been plagued by violence. There are a wide array of explanations for this violence, from the revival of Malay nationalist movements and the influence from the global trend of radical Islam, to the power play among the regional underground crime syndicates, politicians, and state authorities. 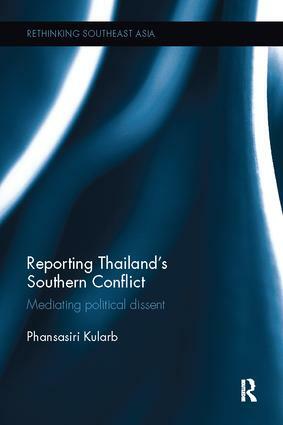 The disparate interpretations signal the dynamic and complex discursive contention of this damaging and enduring conflict, and this book looks at how this is played out in the Thai media, and with what possible consequences. In analysing the southern conflict coverage, the book presents the deficiencies in news coverage, as produced by four news organisations of different natures across a seven-year review period, and discusses the professional practices that hinder journalism from serving as a fair arena for healthy and rational democratic debates. Based on in-depth interviews with news workers, it argues that Thai journalism is not always monolithic and static, as shown in the discursive shifts in news content, the variations of journalistic practices and news workers’ disparate stances on the conflict. The book goes on to highlight the less immediately apparent difficulties of political conflict reporting, such as the subtle patterns of intimidation and media manipulation, as well as the challenges of countering socially-prevailing hegemonic beliefs in Thai society. Exploring the political contingencies and socio-cultural influences at play, this book provides an in-depth study of journalism’s role in politics in Thailand, and is of interest to students and scholars of Southeast Asian Politics, Media Studies and Peace and Conflict Studies.